I was riding home the other day, and I was listening to a survival/prepper podcast when my mind wandered. I was pondering the analogy of Wolves, Sheepdogs and Sheep. I think it is a better analogy that it is at first glance. Rawles wants to be a sheepdog. A protector and guide for the sheep of the world. That’s an admirable quality, but a dog is nothing more than a domesticated wolf. 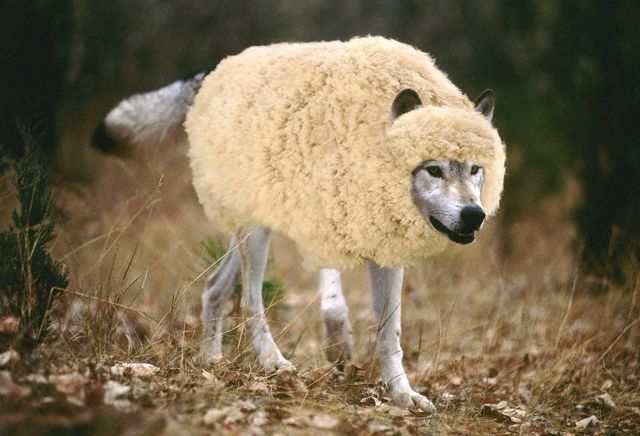 Just as a dog will sometimes turn on it’s master, a sheepdog would revert to being a wolf under the right circumstances. I aim to be a guide and protector to the lost sheep, but if the sheep take advantage, you’ll see the wolf quite quickly. Wolves are the least of the troubles we will face after a societal collapse. To continue the analogy, jackals, hyenas and bears will prowl the world. Jackals will live off the fringes of what’s left of society, but will only attack when the sheep are heavily armed and outnumbered. Hyenas will scavenge, but will turn to violence quicker, and are not afraid to take out another predator for it’s “kill”. Bears are real dangerous. Think of them as well armed and armored assault squads. Ex-soldiers or police who retain their equipment, but are loners, would likely become bears. Survivalists who take a rifle and backpack into the woods to “survive” might become jackals or bears. The lesson in all this is to break down patterns of behavior and figure out how to deal with it. Sheep are easy to scare off, and are really looking for some leadership. Sheepdogs can be befriended, but when things go real bad, watch out they may bite. Jackals are persistent, but can be scared off. Hyenas need to be watched but a well-organized defense will make them move to easier prey. Wolves and Bears can be a real problem, so watch out for signs and take appropriate steps for defense. Vary guard shift changes, alter patrol schedules and so on. Wolves work in packs, and over time develop tactics that can take out fortified strongpoints. I hope this got you thinking, if you think of other post-TEOTWAWKI archtypes post them in the comments!